Make it your best work. To cut, or not to cut. Experiments, Notes, Meetings, Stickies. There are many types of entries for your different needs. Yet all your content is in one place, easy to browse and search. Collections. 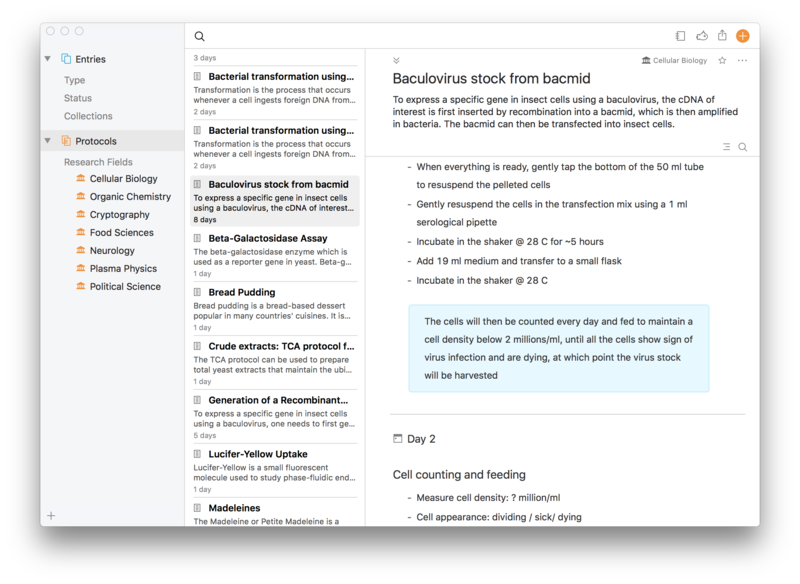 Findings lets you organize your entries into nested collections. Research projects, collaborations, reports, you decide how you want it, and where you want it. Attachments. With Findings, you will always know where to find your research files and data. It is right where they belong, in the corresponding experiment or note. The files are copied in your Findings library, which means no more accidental deletion, no more editing of the wrong file, no more cloud incantation. Preview and edit. 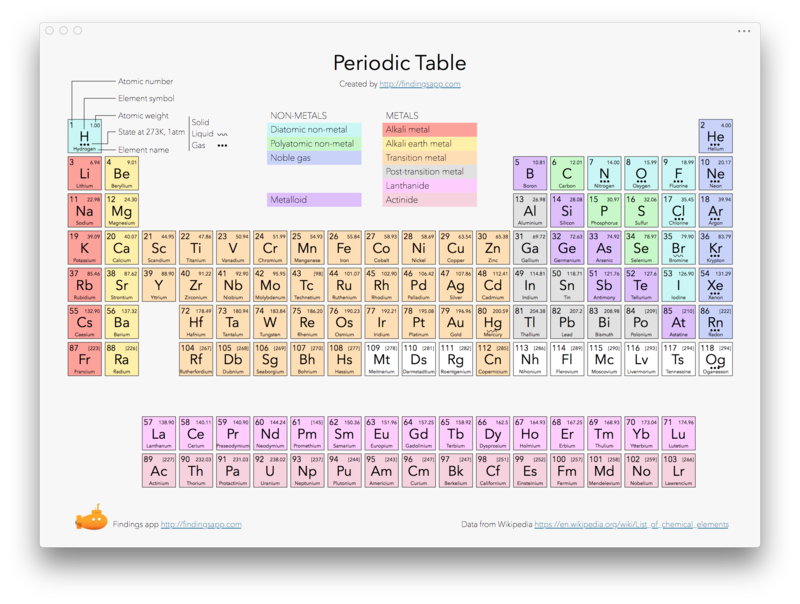 Any file can be an attachment: image, spreadsheet, ruby script, molecule structure, etc. 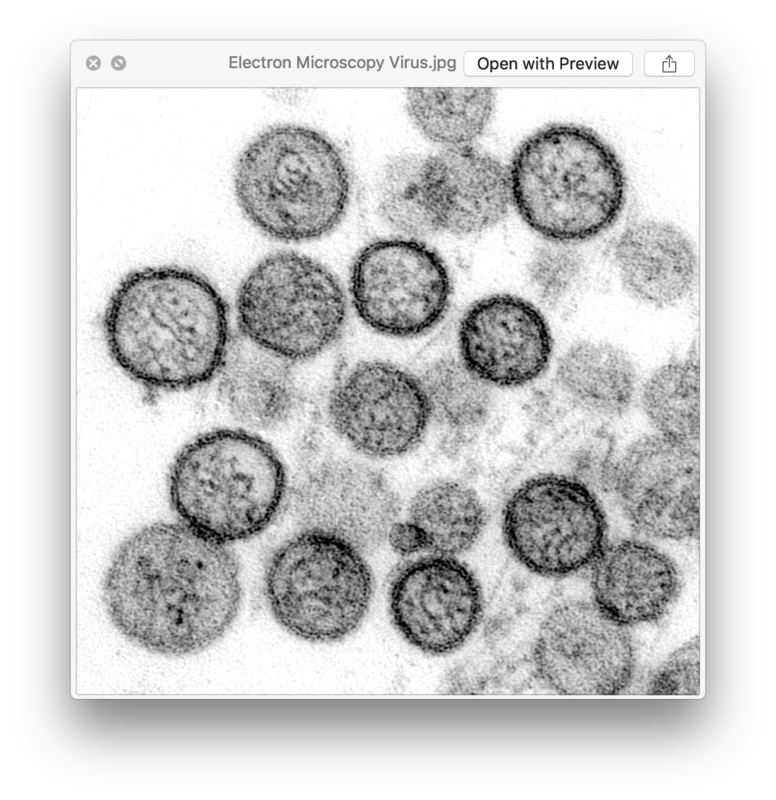 It is easy to preview with QuickLook, show in the Finder or edit in your favorite application. Tables & Spreadsheets. Findings has built-in tables for quick data entry. Or you can create template files compatible with Excel or Pages. 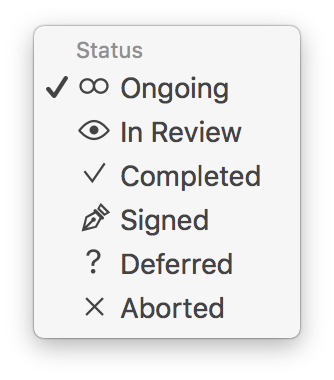 Ongoing, in review, completed. With Findings, it is very easy to switch between the past, the present and the future. As you work through a project and research activities or experiments, your entries go through different states, so you always know what's next. Getting through the day. 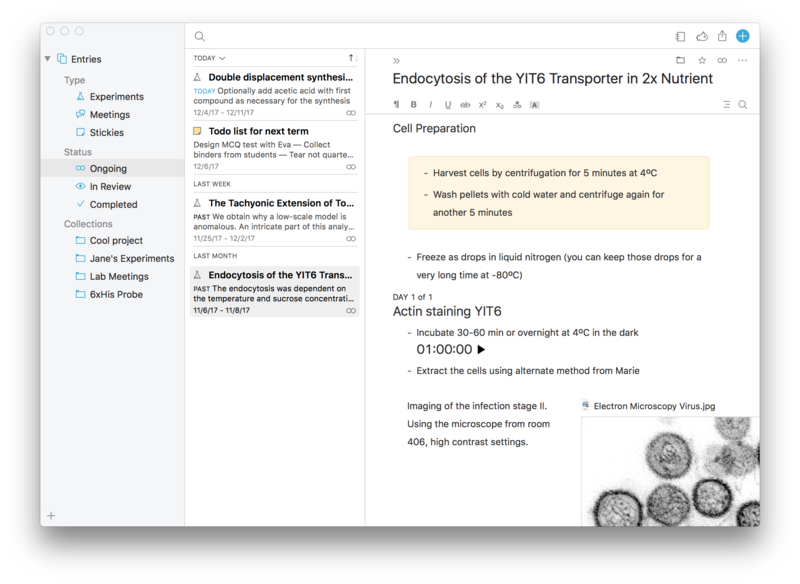 With Findings, you get from the bird's eye view to the nitty-gritty of all your current tasks at the click of a mouse. 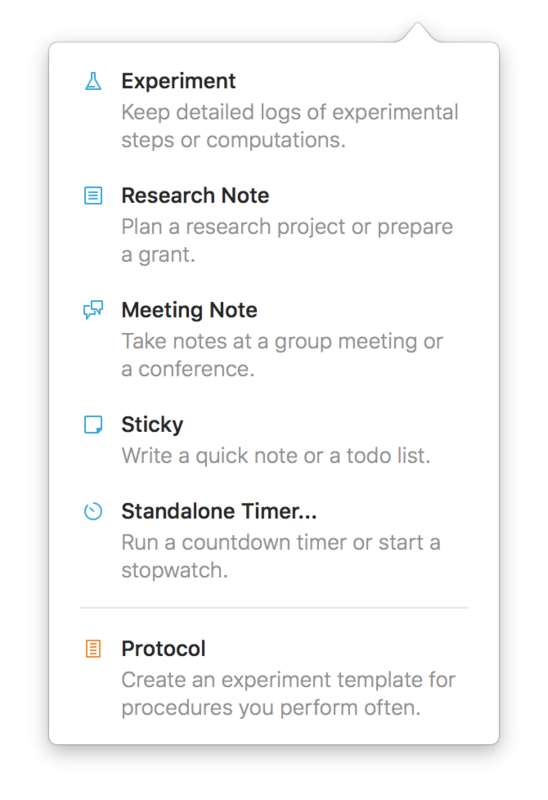 Throughout the day, you can follow your progress, add a quick note, start a timer, edit your experiment conditions, and never forget a step. A journal for you. 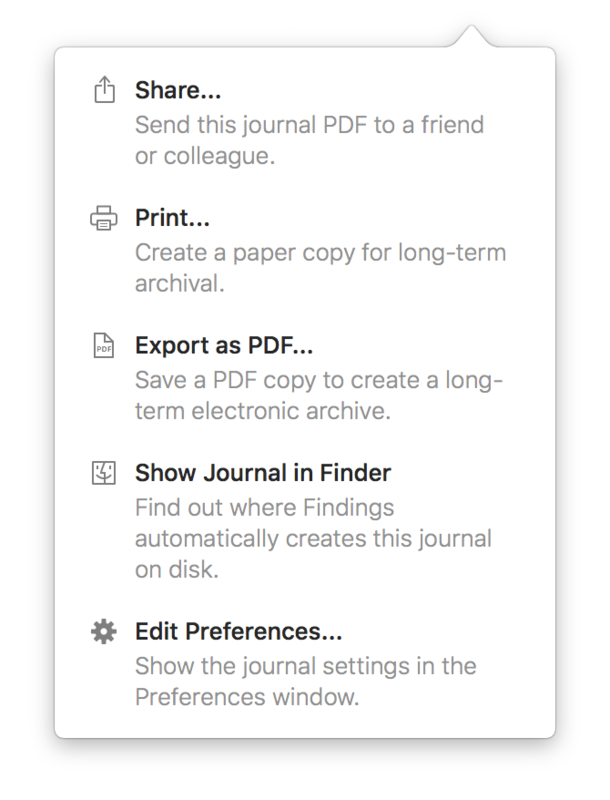 Based on all your entries, Findings generates a lab notebook automatically, in PDF format, that you can directly access from the app or on your disk. Your research journal literally prints itself out! 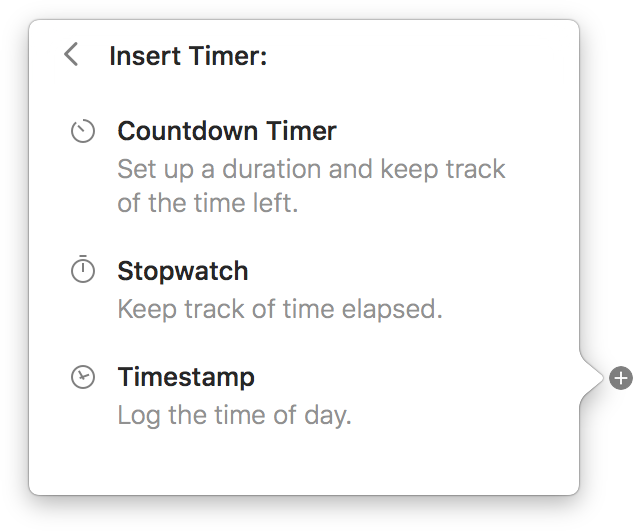 And if you need more control, you can just as easily print the entries of your choice, for the dates of your choice. Easy to share. Your research should not be in a silo. 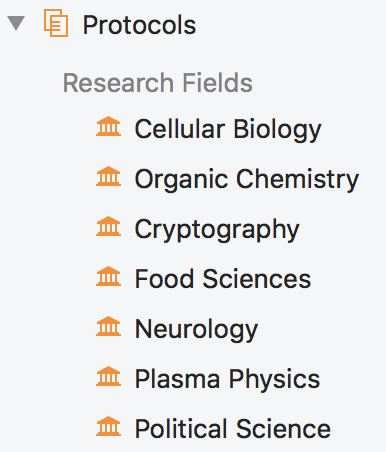 Findings can easily export any subset or all of your experiments and protocols to PDF, with all the attachments neatly arranged in folders. You can also export documents as archives, that anybody can read back in Findings. Sharing your results and impressing your colleagues has never been easier! Protocols, procedures, processes, recipes, guides... 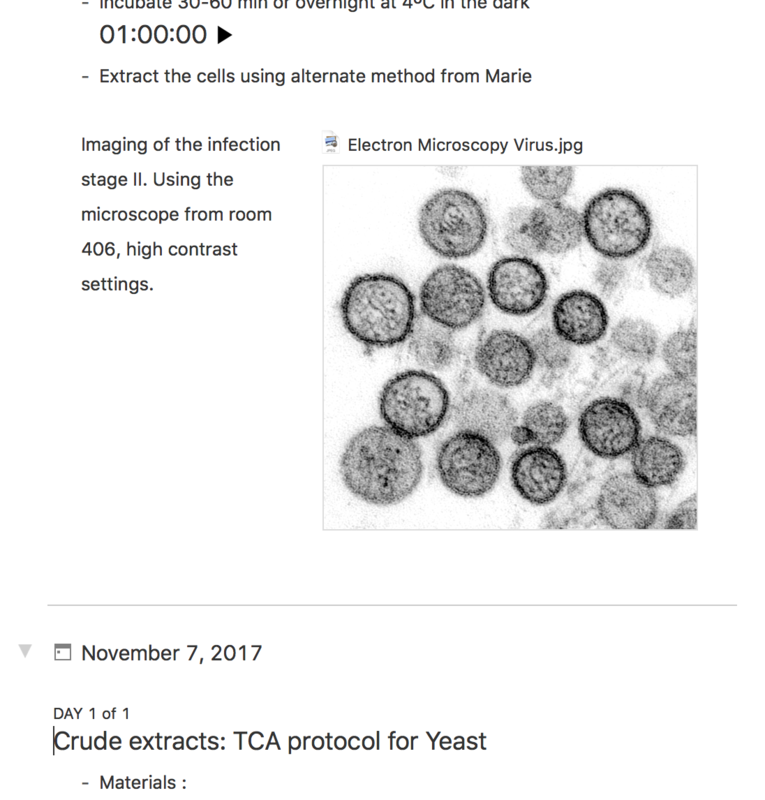 They have a special place in Findings, to make them easy to browse, edit, and share with others in the lab, or with the rest of the world. Templates for experiments. Protocols are building blocks for experiments. Once inserted, a copy is made, so you can still tweak it for that one time, and leave the original untouched. Quick access. 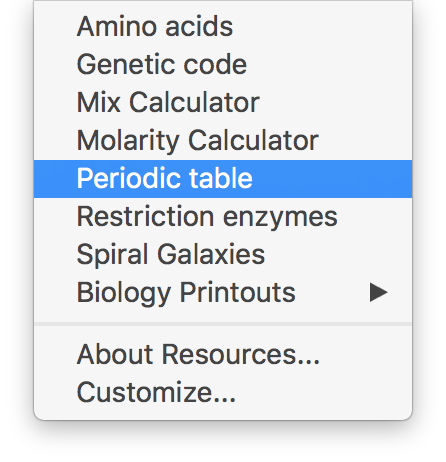 Get to your important reference documents straight from the Resources menu. Each resource opens in a window that will always be there for you. Sync. 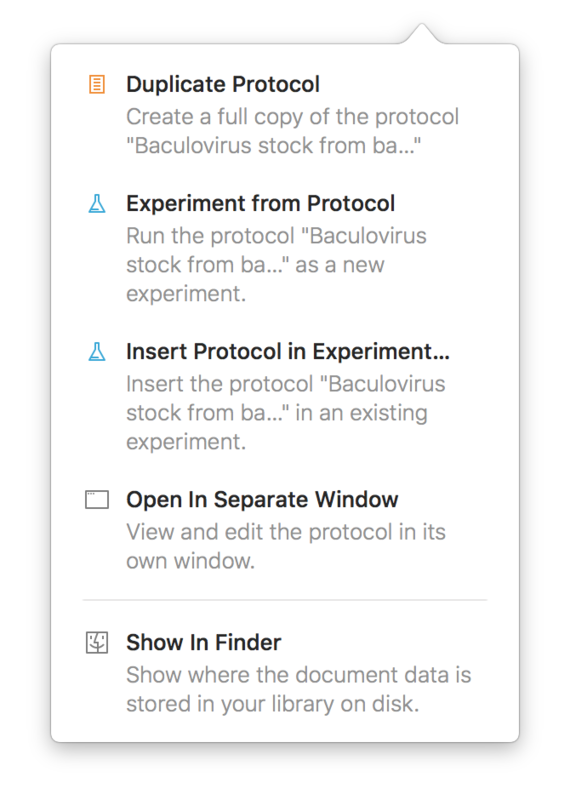 Findings leverages the power of Dropbox so your experiments follow you wherever you go, on your laptop at home or your iPhone in the field. iPhone & iPad. Macs don’t like water, nitric acid, radioactive stains, deep-diving, liquid nitrogen and mouse droppings. Findings for iPhone and iPad follows you in the field, at the bench, or a conference. Findings is FREE, with no time limit. It allows the creation of up to 20 entries. Purchase Findings Pro to allow the creation of unlimited entries. Copyright © 2018-2019 Nucleobytes BV, Gerberastraat 117, Aalsmeer RA 1431, The Netherlands. All rights reserved. Terms and Conditions. Apple, the Apple logo, App Store, iPad, iPhone, Mac, iCloud, iOS and macOS are trademarks of Apple Inc., registered in the U.S. and other countries. Mac App Store is a service mark of Apple Inc. Dropbox and the Dropbox logo are trademarks of Dropbox, Inc.